I always REALLY look forward to vacations. It’s not that I’m deluded into thinking that it will be an opportunity to relax. I’m not THAT naive. It’s always a ton of work. I do look forward to not cooking and washing dishes, but on this last vacation there was a lot of feeding littles in the car, and as there were seven of us and three car seats crammed into one vehicle, it wasn’t super comfy. What I DO look forward to is experiencing new things and new places. At home I’m wrapped up in routine, always busy doing, and seldom have the opportunity to get out and see stuff. Even then, I feel like I’ve experienced most of the north side of Chicago, having lived here for almost fifteen years. So that part of vacation was very fulfilling. We saw four states in six days. Phew!! It was intense. Lots of memories, which are super-important. At the same time, I feel like it helped me to be more thankful for what I have at home. Now that I got my six-day travel fix, I can enjoy what I already have. 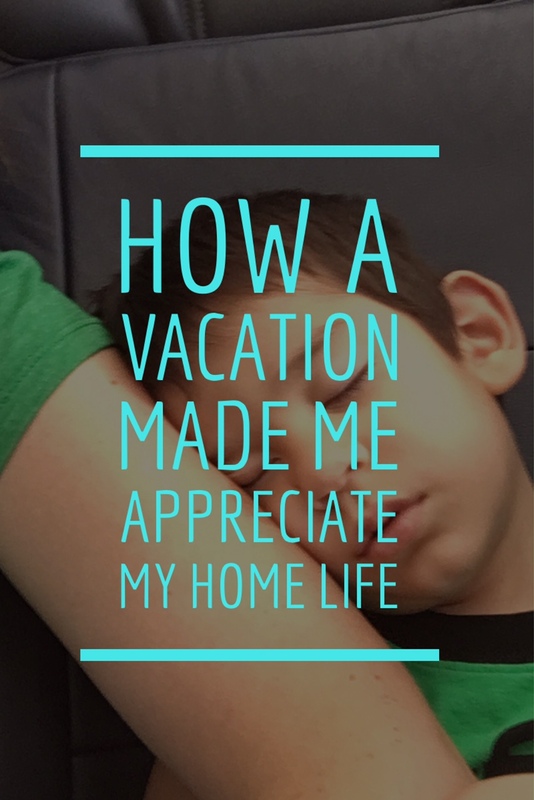 In the spirit of pursuing contentment, the importance of which I outlined in this article here, I’m listing the things I’ve learned to appreciate at home. Did I mention I never want to eat a Philly Cheesesteak again? And fast-food breakfast is great at first, because, let’s get real, no one fantasizes about cooking breakfast every single morning, but simple home-cooked eggs and pancakes taste better and feel better to me. One of the malls in Philly didn’t even have a changing table. If I had a dollar for every time I had to change my kids (yes, TWO in diapers) in the van … let’s just say, I’m not taking for granted changing kids at home anymore. I don’t mind my kids falling asleep in the car. It can be super-convenient. It also can mean me taking turns with my hubby staying in the car while everyone else eats at a restaurant. That’s not too bad, either. But when you’re fast-paced travel itinerary precludes the possibility of your little guy getting a chance to sleep, home starts to look good. This is a biggie. At home, our kids are more or less separated and contained. At a hotel or even an Air BnB, not so much. Mainly for my autistic three-year-old who has a hard time falling asleep (read: 1-2AM as of late), I’d rather have him in his room running off of eternal energy fumes than screaming in the same room as his sleeping siblings. And me! They all seem to sleep better than me. Those are just a few things that make me thankful for home. I’m super-grateful to have the opportunities to travel and see different places. I’m absolutely looking forward to our next trip. But this last trip was so fast-paced with the three littles and a rigorous itinerary that I’m impressed I pulled it off. And I’m very glad to be home. 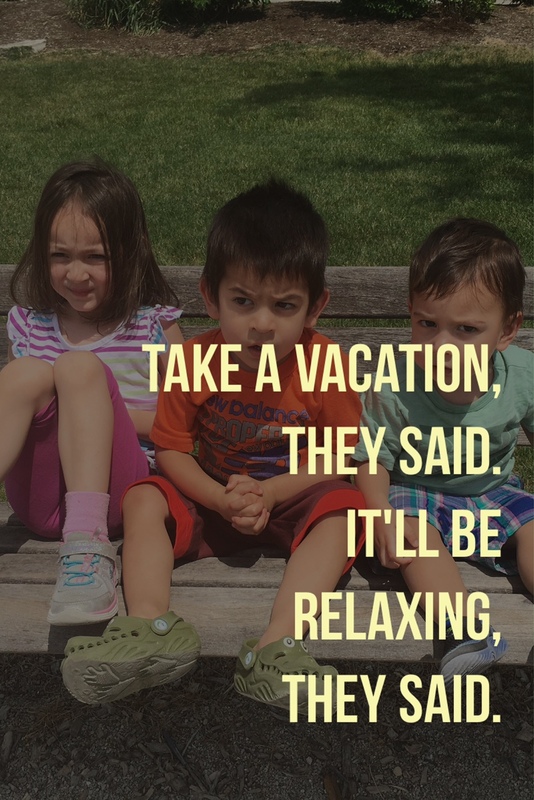 Lol sometimes vacations are super stressful when they’re supposed to be relaxing !! !